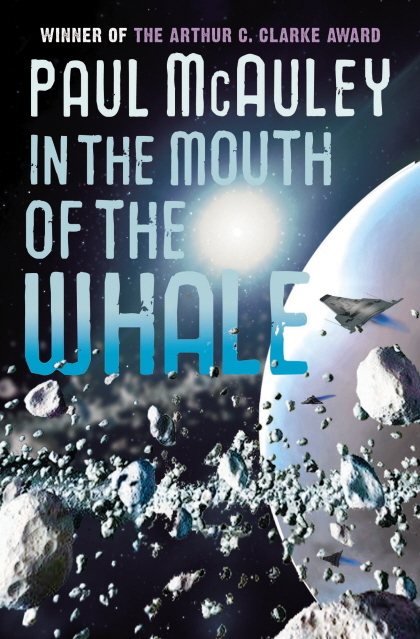 Chapter 11 of In The Mouth of the Whale is now up on the web site. Chapter 1 is over here. And you can now preorder the Kindle edition for the price of a paperback (also available for preorder on iTunes). 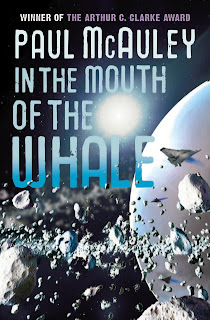 As publication of In The Mouth Of The Whale inches closer, I'm working on what I hope is the penultimate draft of the next novel, Evening's Empires. My first short stories and my first novel were composed entirely on a typewriter; while I confess to a certain minor nostalgia for the only forward method typewriters imposed on you, I don't miss interleaving bond, carbon and bank (onionskin) papers, necessary to get a duplicate copy in a time when photocopies were scarce and expensive, and I was never a big fan of Tipp-ex and other correction fluids, or retyping a page if it contained more than three errors in it. I was an early adopter of word-processing and love its fluidity of composition, but I still maintain one tradition from the old keys-on-ink-ribbon-on-paper days: I still print out at least one draft of whatever I'm working on, and go over it with a red pen in hand. Which is what I'm doing right now. Because I have the idea, never tested, that it is easier to spot goofs on the printed page rather than on the screen, I prefer to annotate hard copy than make electronic notes. (Has anyone ever done a serious study of this? If not, surely it wouldn't be too hard to set up a randomised experiment where, say, half the test subjects proof-read a text on screen and the other half proof-read it on paper, and then swapped from screen to paper and vice versa and corrected another text.) Some of my corrections are of punctuation and spelling; others highlight instances of repetition, correct factual errors, or change the order of a sentence to eliminate ambiguity. But the most important changes are the notes to myself about glitches in plot, action, and character. Some are terse; others spill all the way down the page, or are linked by looping arrows to paragraphs at the top or bottom of the page; really serious second thoughts are continued on the blank side of the page, with the command OVER written in the margin and underscored two or three times so I don't miss the annotations when I start over, and begin to make changes on screen. At this point, I'm the first person to read through the entire novel; I realise that I've become kin to the kind of creature who annotates library books with scornful exclamation marks and sarcastic underlinings. Chapter 10 of In The Mouth Of The Whale has been posted on the web site. If you want to start from the beginning, it's this way. 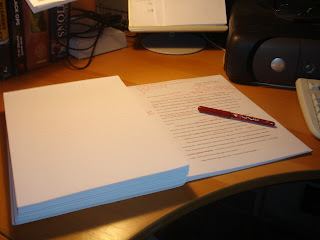 Currently writing: Hacking away the excess from the ante-penultimate draft of Evening's Empires.